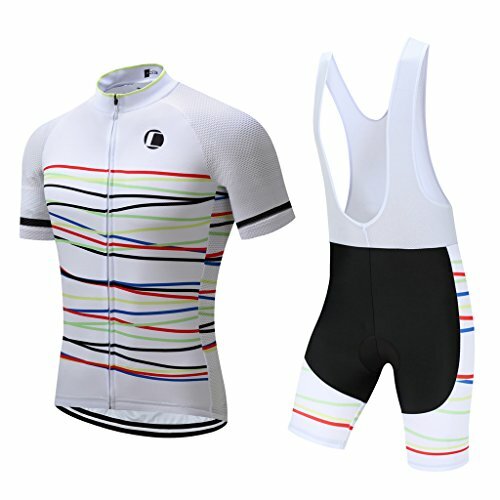 Include jersey and bib shorts. 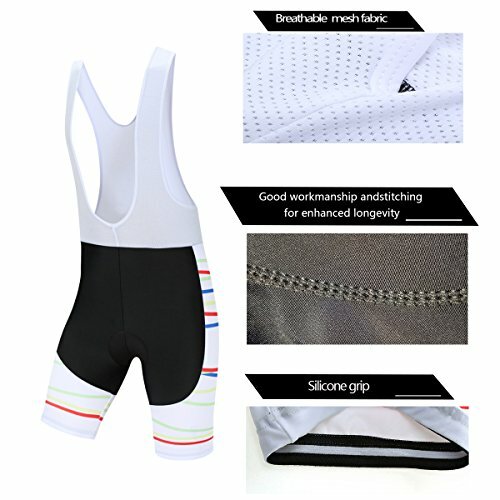 This fine made basic short-sleeved bicycle jersey can provide excellent moisture management. It can take away the sweats quickly and you won’t feel the sweats adhere to your skin. It can also keep suitable thermal control in cooler weather, and you won’t feel cold after sweats. 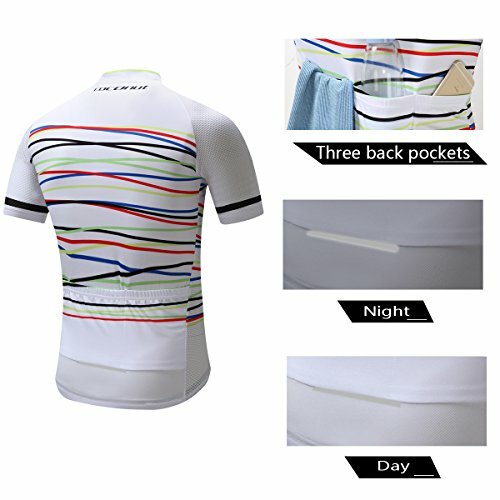 Being made with high quality fabric and zipper, you will find it durable in your daily ride. 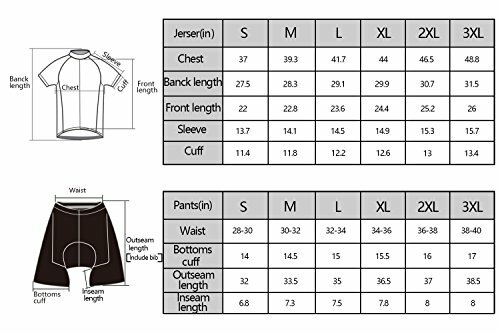 Designed for regular riding, these shirts provide a slightly loose, more comfortable fitBreathable and Quick-dry. 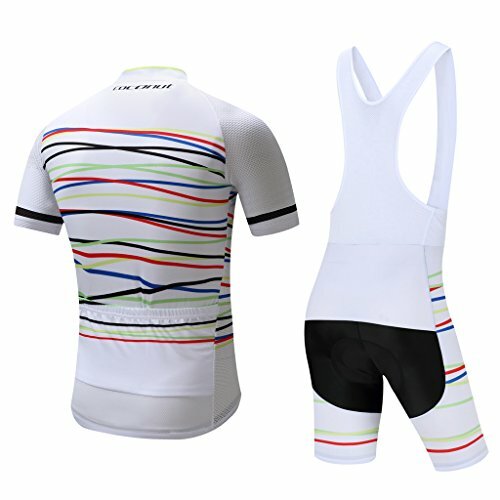 Jersey Material:100% Polyester Shorts Material: 80%Polyester 20% Spandex. 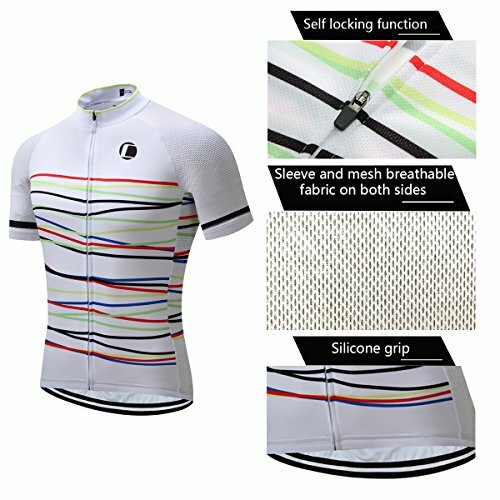 Comfortable anatomic design with sublimation print(Using Italian Ink) to match our cycling jerseys, never fade out, suitable for all lever cycling. 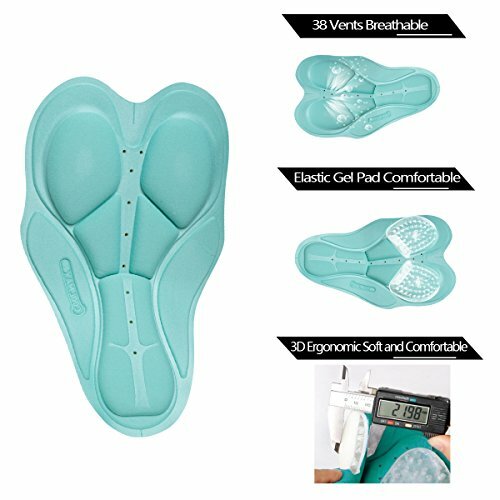 ERGONOMIC COOLMAX PAD – 3D anatomical and perforated layer design for crotch padding. With high density foam inserts absorb shock and reduce skin irritation. Features with anti-bacterial effect, perforated layer design reduces the humid and uncomfortable feeling comparing to traditional pad. Keeps you dry and fresh on about 8 hours long biking rides.